Don’t knock it ‘till you try it, or so the saying goes. 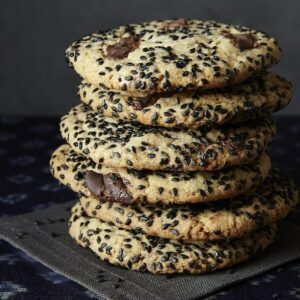 These cookies may look a little strange, but Black Sesame Chocolate Chip Cookies will knock your socks off, make your taste buds sing and change your mind about soy sauce. Would you believe it if I said there was soy sauce in these cookies? Yes! The rich, black, salty sauce that you dip your sushi in is in some of the most delicious cookies you’ll ever taste. I love good chocolate chip cookies. It has to be a good one, with a soft center, golden and buttery edges and plenty of chocolate. I rarely stray from the classic because it’s just so perfect. So you know this must be a good variation to get me to depart from something so wonderful. I didn’t wander too far from my self-proclaimed “Best Chocolate Chip Cookie in the World” recipe. I stuck with a blend of white and caramely brown sugar, eggs, lots of butter and a mix of semi sweet and milk chocolate. The combination of chocolates is my signature touch to cookies. It gives the sophisticated, not-too-sweet flavor of dark chocolate, and the rich and creamy milk chocolate essence all in one bite. As for the addition of soy sauce, it simply adds salty flavor and gives a subtle aged molasses quality that is sophisticated without being overpowering. In the chef-world that flavor combo is called umami. Umami is now considered a basic taste, along with sweetness, sourness, bitterness, and saltiness. It’s described as a pleasant savory taste. 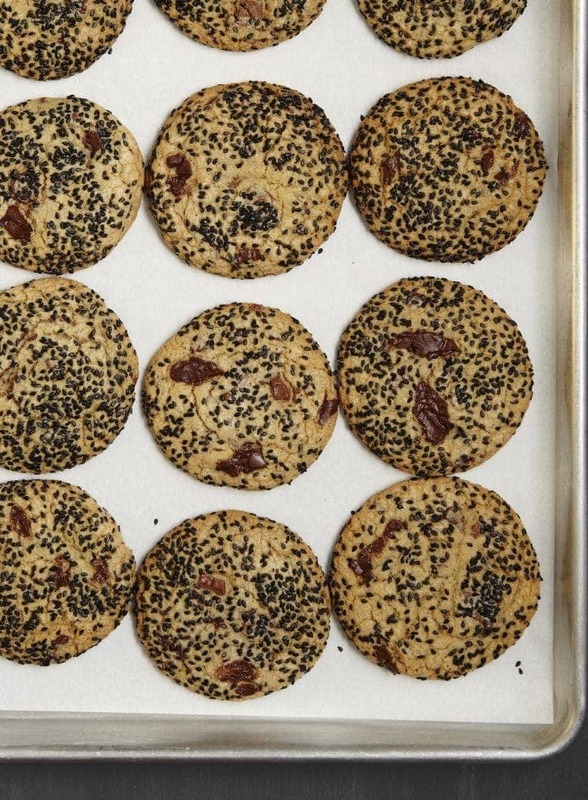 I adapted this recipe from Joy the Baker’s version and kept the addition of black sesame seeds. 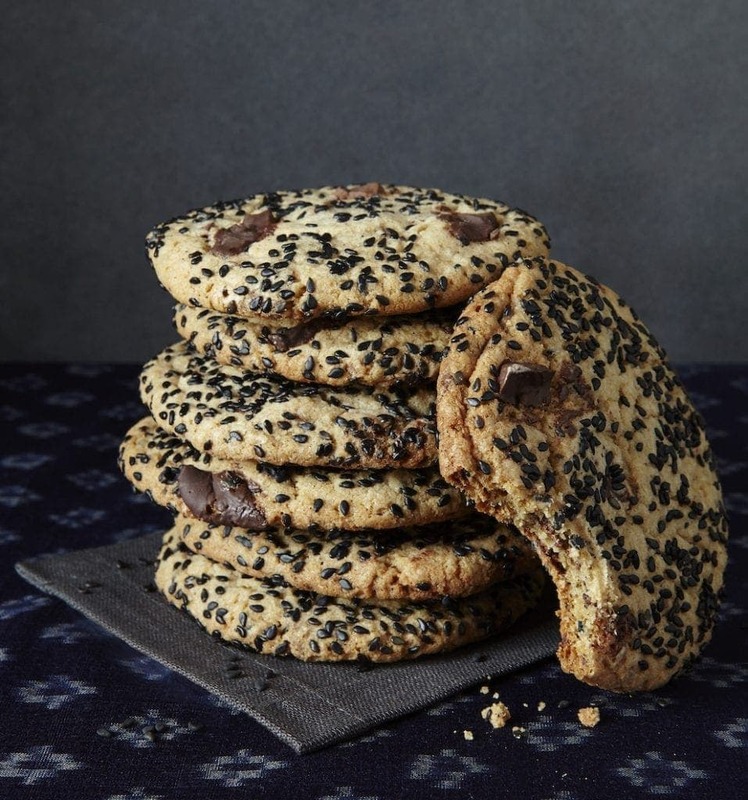 They make the cookies so festive and unique, and add a bit of crunch at the end. The seeds don’t contribute much flavor, so I added toasted sesame oil to the dough as an additional element. I also like that the cookies aren’t as cloyingly sweet as some desserts. They go perfectly with a cup of tea or cold glass of milk. The method to make the cookies is straight forward, so no challenges there. You probably even have all of the ingredients in your kitchen, except for the black sesame seeds. Those are easy to find in the ethnic aisle of your supermarket. I always use unsalted butter when I bake. You probably don’t even think about the difference when you’re at the store. You may even opt for the salted variety because, let’s be honest, it tastes amazing on toast! Salt is a great flavor enhancer, as well as a preservative, and it’s added to butter to give it a longer shelf life. That’s all well and good, except when it comes to my baking. I use unsalted butter because it is genuinely fresher, as its shorter shelf life means the stock is rotated more frequently. I also like to be in control of how much salt I add to my baked goods. Sure, these cookies have plenty of salt and salty soy sauce, but I controlled those flavors to make sure they weren’t overpowering. If you choose to use salted butter in these cookies, simply reduce the added salt to about a ½ teaspoon instead of 1½ teaspoons. The dough is also chilled for at least an hour if not overnight. This is magic for chocolate chip cookies. Technically, it allows the flour to absorb some of the butter and egg so it softens, and helps the ingredients mellow together. In general, it just makes for a better texture. If you’re in a rush, skip this step (just decrease the baking time since the dough won’t be cold). Add a new twist to chocolate chip cookies! Black sesame seeds and soy sauce, you say? Whisk together the flour, baking soda and salt. Set aside. In the bowl of a mixer fitted with a paddle attachment, beat together the butter and sugars until light and fluffy, about 3 minutes. Add the egg and egg yolk, vanilla, sesame oil and soy sauce and beat until light, another 2 minutes. Stir in the dry ingredients, mixing slowly until the flour is incorporated and then beat on low speed until completely mixed; scraping the bottom and sides of the bowl as needed. Add the 2 tablespoons sesame seeds and chocolate, and stir together until well combined. 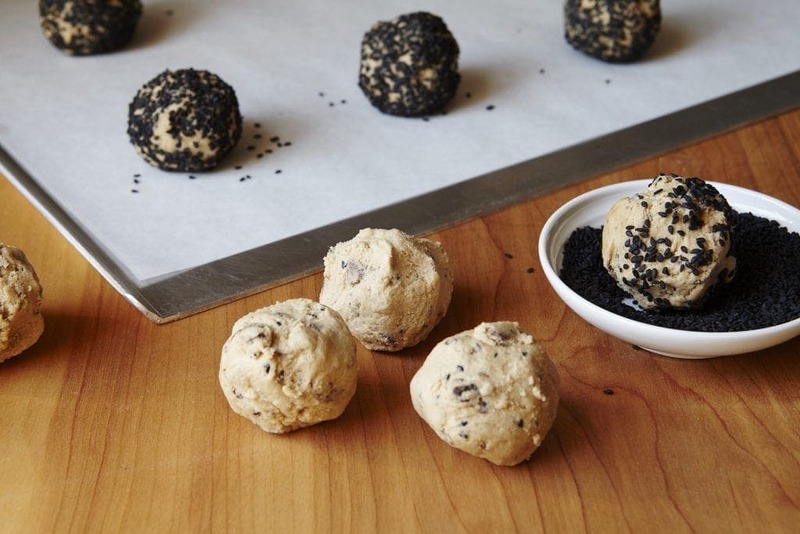 Use a spoon or cookie scoop to form dough into ¼-cup-sized balls and roll in black sesame seeds. Place on a parchment-lined baking sheet and cover or place in a zip top bag and refrigerate cookies for 1 hour or overnight. Heat the oven to 350ºF and line baking sheets with parchment. Place chilled cookies on prepared baking sheets and bake until just set in the center and lightly golden on the edges, 14 to 16 minutes. Allow to cool on the baking sheet for about 10 minutes, then remove to cool completely. Store cookies in an airtight container. I always use unsalted butter when I bake. You probably don't even think about the difference when you're at the store. You may even opt for the salted variety because, let's be honest, it tastes amazing on toast! Salt is a great flavor enhancer, as well as a preservative, and it's added to butter to give it a longer shelf life. That's all well and good, except when it comes to my baking. I use unsalted butter because it is genuinely fresher, as its shorter shelf life means the stock is rotated more frequently. I also like to be in control of how much salt I add to my baked goods. Sure, these cookies have plenty of salt and salty soy sauce, but I controlled those flavors to make sure they weren't overpowering. If you choose to use salted butter in these cookies, simply reduce the added salt to about a ½ teaspoon instead of 1½ teaspoons. This recipe was originally posted on KSL.com. If you love to bake, try some of my other Tara Teaspoon recipes like Salted Caramel Apple Pie or a No-Bake Cheesecake Tart. Crazy mix of flavors but delicious! 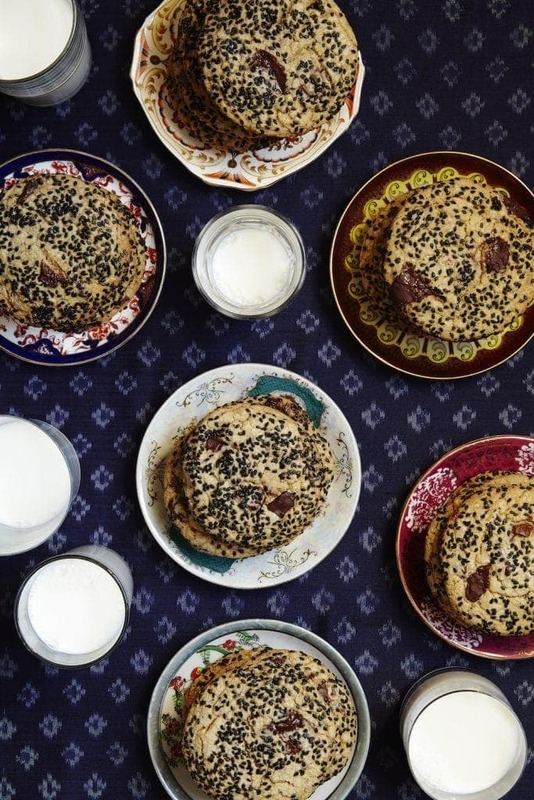 I would have never thought to add sesame to cookies, but it’s so yummy!